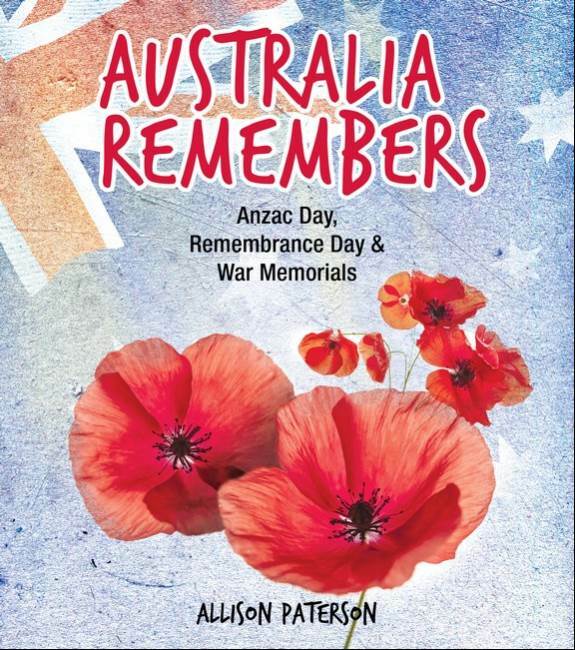 Australian Geographic has a brand-new book that is sure to make these school holidays a blast. And I mean actual blast might happen. 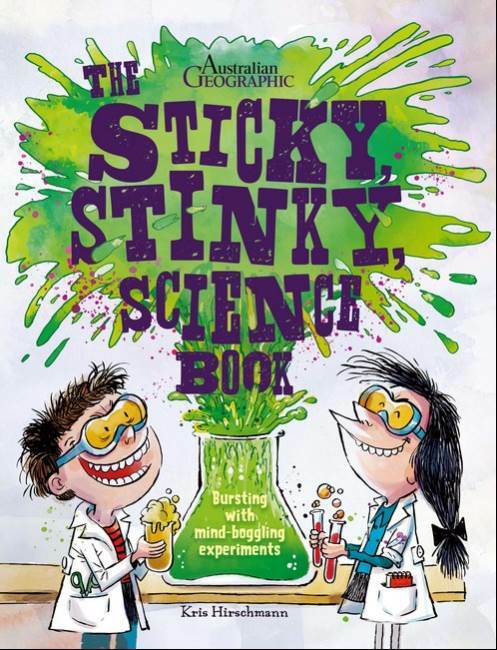 It is a brand-new science book that I am talking about here. Big Sky Publishing have a brand-new book that comes out at the end of this week that I wanted to review and share with all of you. I have something special for all of you today – a book review. It’s been a while since I have done one, but I’m going to try and work my way through some of our great children books and share some reviews with all of you. Reece is a very cheeky, curious young boy who loves making NOISE. Today he’s making music. There are lots of interesting clangs, bangs and thumps coming from his room as his playing gets more and more vigorous. His mother’s requests for him to be quieter only seem to make him louder and louder. As his exuberance for his playing grows, so does his mothers exasperation! Will she ever get any peace? The simple rhythmic text combined with delightful illustrations remind us of the power of learning through play and exploration. Kids will love making the lively sounds, and parents and carers will relate to the challenge of being able to enjoy some quiet; especially when there are instruments at play! 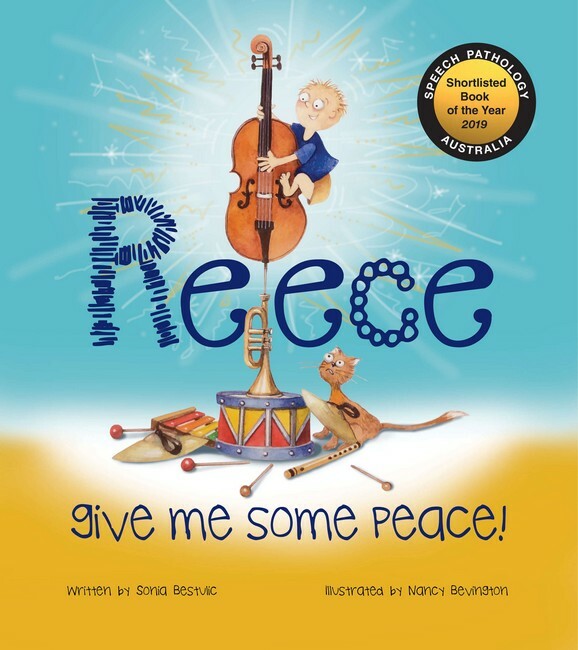 A great children book using the theme of music, with the help of rhythm and rhyme to stimulate and entertain children ages zero and up to ages five to bring to life the world of Reece and his mothers at home. 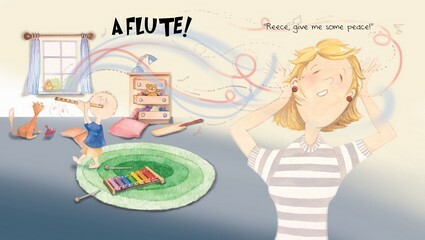 Follow the excitement and noise created by Reece in his bedroom, filled with many different instruments as his mother tries to get on with her day. Follow the excitement and intrigue as Reece’s mother tries to work out who is making the noise and what the noise is. 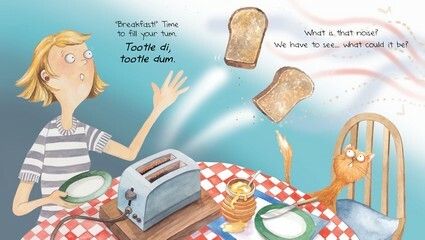 This is the kind of book that parents will love to read to their newborns and toddlers, using the soothing sounds of word play on musical words, listeners will love the sounds of this book. A must have for musically inclined children. The good people of Australian Dog Lover have kindly taken their time and reviewed a sample copy we sent them to review for us.